Graffiti, revered and loathed by turn, provides insights into societal attitudes and perceptions. 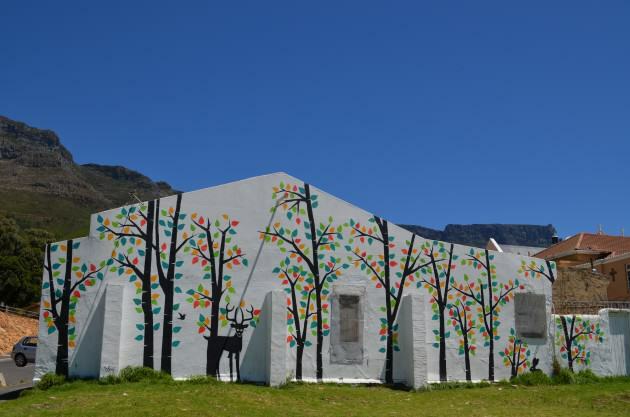 In this short photo essay I present nature-related graffiti from the City of Cape Town. 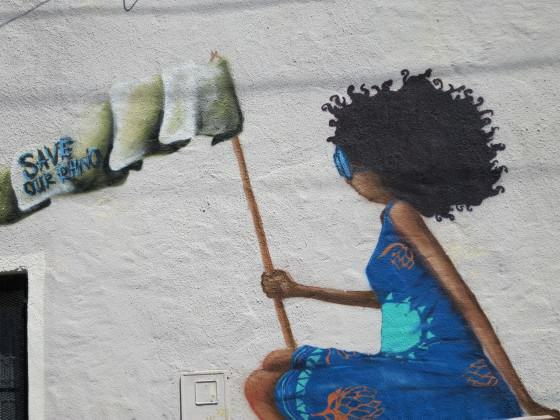 Whether for protest, art, comment, or signaling, as an illegal activity graffiti always challenges hegemony. 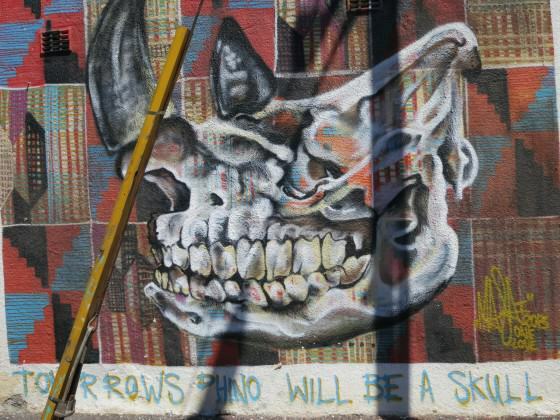 Cape Town still bares the hallmarks of apartheid with significant race-based development and wealth discrepancies. 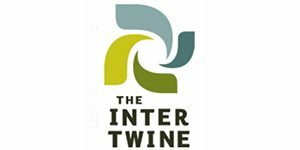 It is situated in the middle of a global biodiversity hotspot. And, it will be the world design capital for 2014. 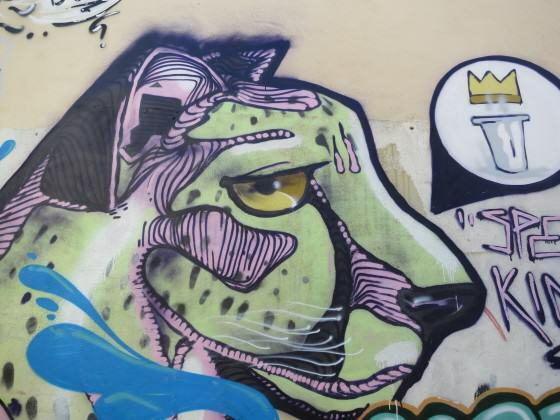 This city has rich pickings for exploring and interpreting graffiti. 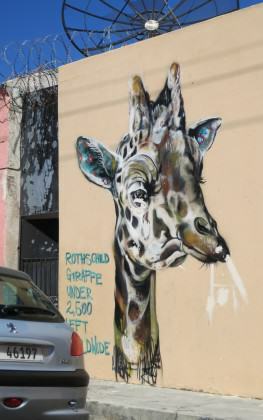 Cape Town has all the standard expressions among its graffiti, including political commentary, personal or ‘existential’ commentary, gang-related territorial demarcation, basic tagging, the more elegant ‘piecing’ where tags or names are elaborate, and larger artworks that combine comment with a particular aesthetic. 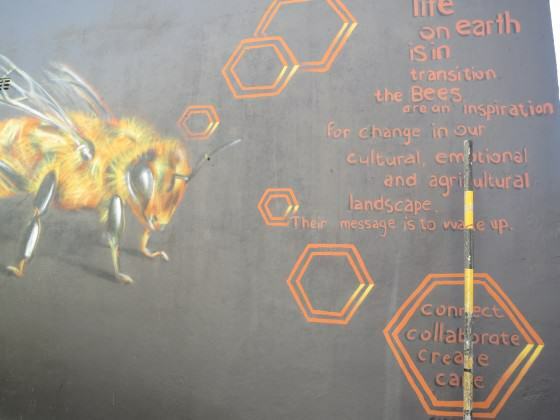 So if we need to listen to people about their perceptions and views on nature in cities, in order that we better promote the idea and value of nature in cities, what does this graffiti tell us? 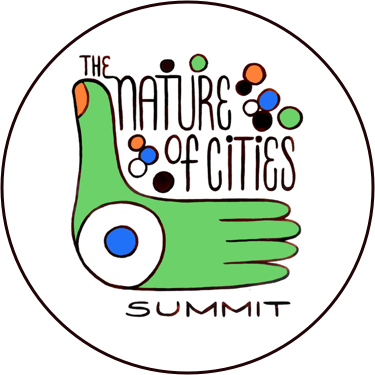 It tells us there are voices of dissent out there, personal views not captured by popular media, or standard urban form, and a desire for more nature both in cities, and beyond cities. 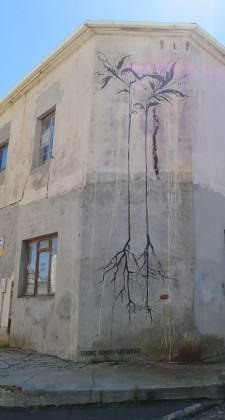 Much of what appears as nature-related graffiti is evidently to improve an otherwise harsh urban aesthetic. Depictions of trees, plants and animals add colour and soften hard edges and expansive blank walls. 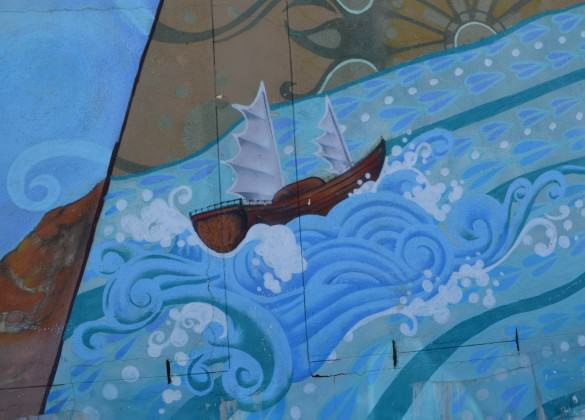 The following two examples depict boats tossing in stormy seas, a strong narrative of shared, collective history in Cape Town, which was originally known as the Cape of Storms. Even today ships run aground on the shores of the City every winter and this is an aspect of nature we all share and respect. 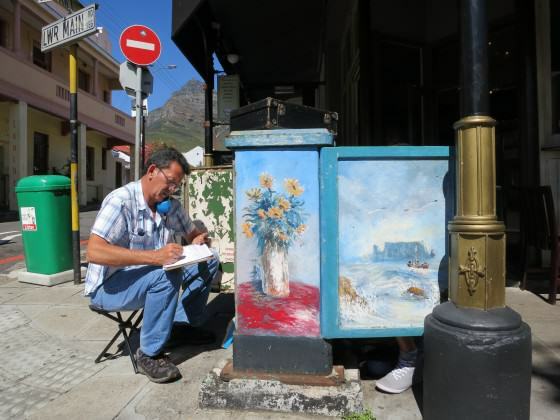 This notion of sharing and connecting through the visual in an urban space is enhanced here where a telecommunications engineer fixes a phone box adorned with a vase of flowers and the scene of a small boat approaching Table Bay in the high seas. Devil’s Peak, one of the major peaks of Table Mountain, can be seen in the background. 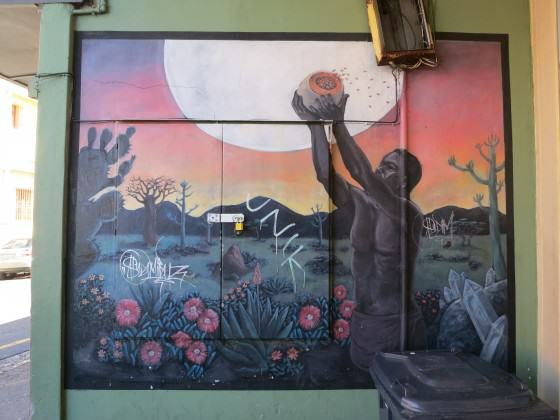 Pictures of African wildlife, not present in Cape Town for hundreds of years, litter the city, calling on the larger urban populations to take up these distant conservation causes. 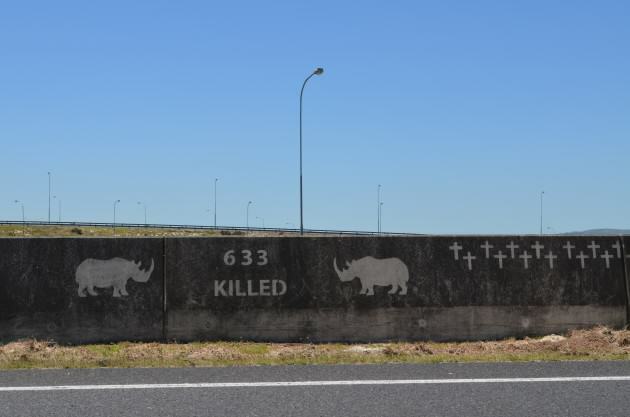 The following graffiti is regularly updated, keeping abreast of the shocking rhino death tolls due to poaching for the illegal horn trade in conservation areas far flung from Cape Town. Positioned along one of the City’s major highways this graffiti is seen on a daily basis by thousands of commuters. 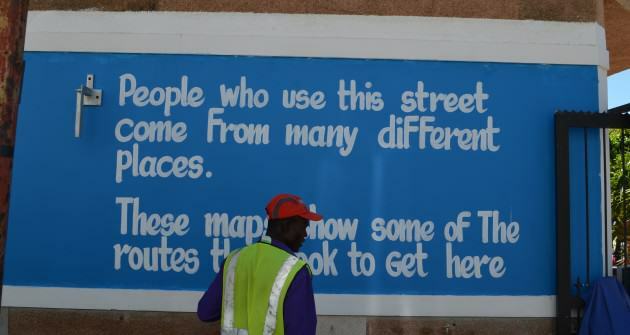 The image of a car speeding past and the pedestrian makes you think about the intended audience, a critical element to graffiti, and how different personal experiences might affect how such messages are received. 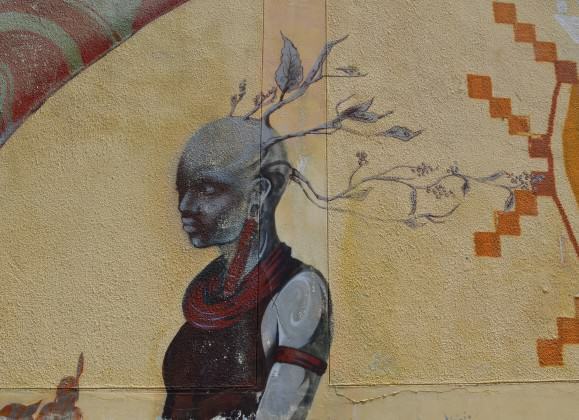 Rapid urbanization, combined in the case of Africa with persistent rural-urban linkages, means that many city dwellers have strong ties to rural nature. 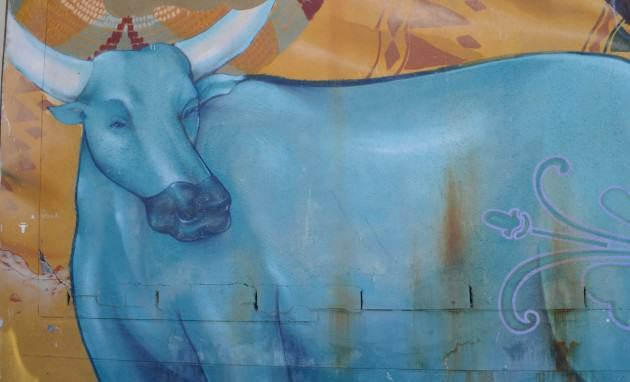 These two pieces of graffiti hint at a nostalgia for rural landscapes and livelihoods with noble cattle and abundant lands. 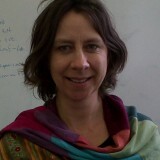 As a cosmopolitan city, Cape Town is home to people from various places. 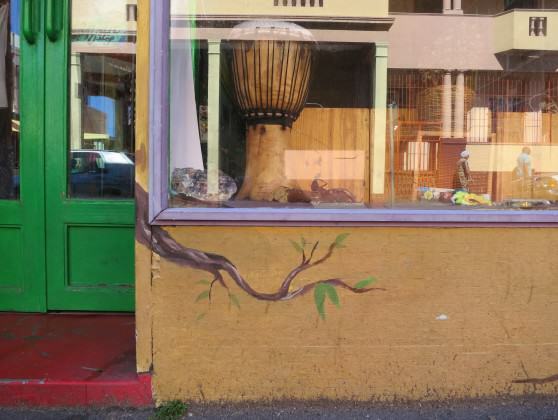 The following two pictures, which sit side-by-side on a street in Cape Town, remind us of the diversity of cultures, experiences, and perceptions that make up our urban space. No two end points on these maps will have the same nature. We all carry our own experiences of nature and our own expectations of nature into the city with us. 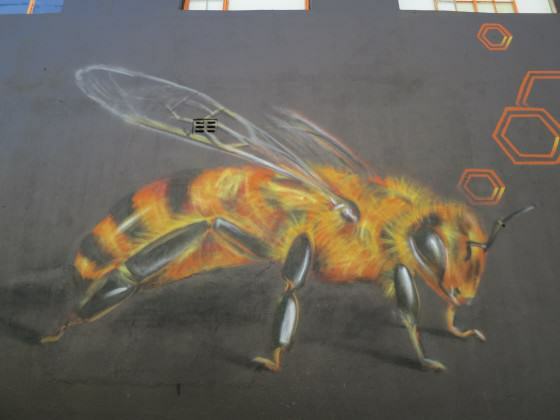 Some nature-related graffiti draws on nature to improve our urban existence. Here we are called on to learn from the bees and the plants. Thanks to Jaques de Satage for taking these commissioned pictures so beautifully. Let’s get some real vegetation and wildlife on those walls?